Amid the dazzling neon lights and hustle and bustle of Japan’s fast-paced capital lies a little pocket where 20th century culture may still be experienced. Yanesan welcomes you with its rustic charms, its ancient atmosphere and its cultural wealth. 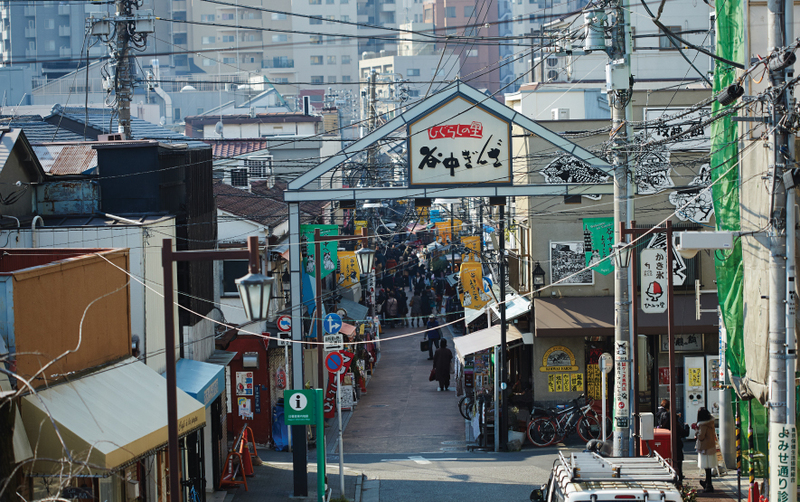 “Yanesen” is coined from the starting letters of its three neighbourhoods—Yanaka, Nezu and Sandagi. It has survived the WWII bombing and is perfect for a leisurely stroll through narrow alleyways, a classic shopping street and picturesque temples and shrines. A cemetery might not seem a likely tourist destination, but the Yanaka Cemetery Park draws people with its temples, playgrounds, parks, and of course, the graves of many famous writers, musicians and artists, including that of the last Shogun, YoshinobuTokugawa. 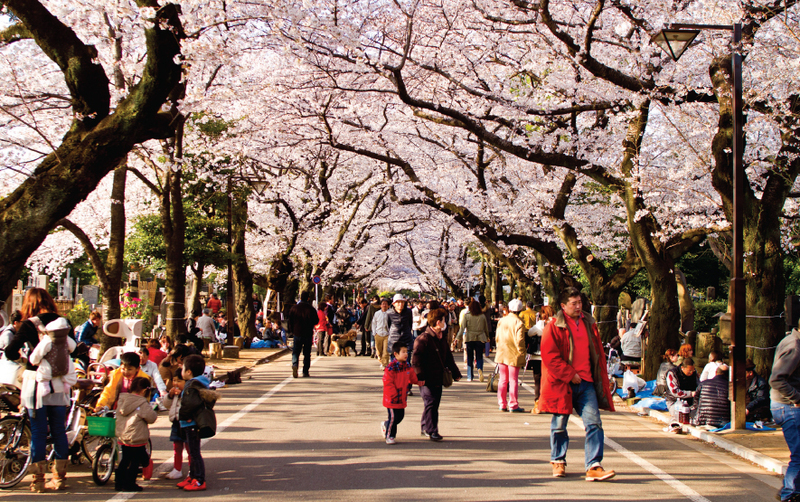 The cemetery is famous for its burst of cherry blossoms during springtime, when the place comes alive with hanami parties under the trees. If you’re in the mood for a peaceful stroll, the cemetery invites you with its tranquility. You’ll also find the Yanaka Tenno-ji Temple, which houses a beautiful bronze statue of the Buddha, and a statue of Kannon. Visit the Nezu Shrine for an atmosphere of spirituality and solemnity. It has a history that spans almost two thousand years, and the main buildings of the shrine are considered Important Cultural Properties of Japan. The shrine is especially famous for the numerous azalea trees that grow in the grounds. Blooming in April, these blossoms add vibrant reds, purples, whites and pinks to the scenery, challenging the cherry blossoms with their beauty. 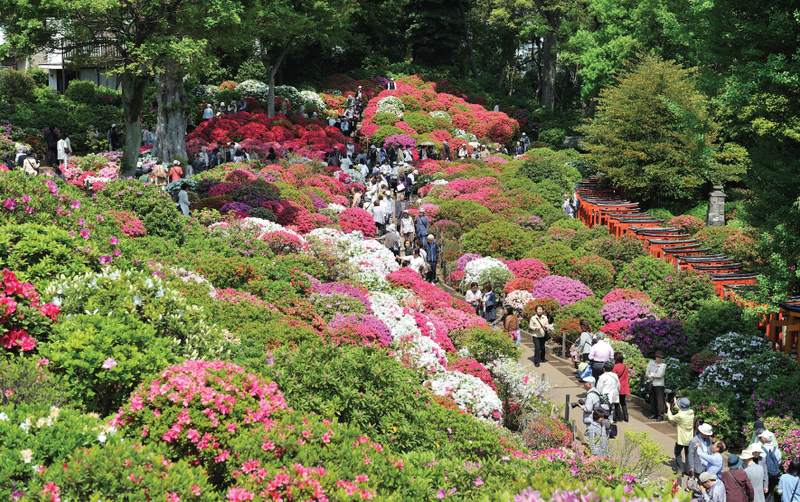 The Azalea Festival occurs in April during the blooming season where almost 3,000 azaleas enchant the myriad audiences. A special touch of nostalgia sweeps through Yanaka Ginza Shopping Street. 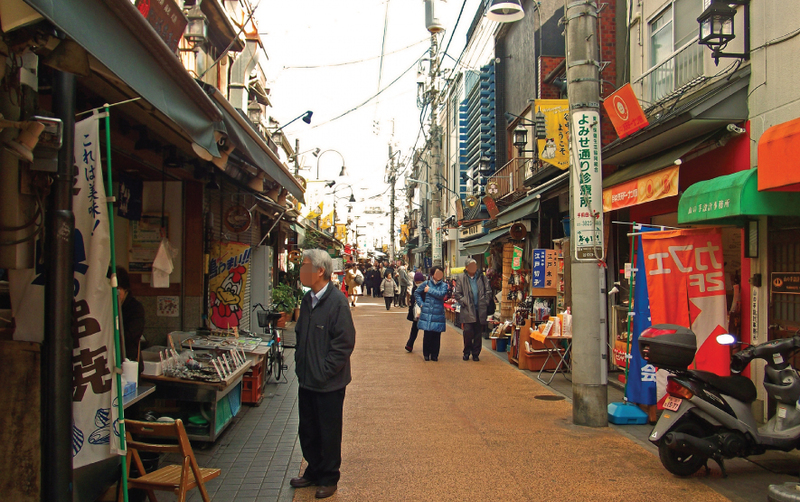 Reminiscent of the Edo Period, it is a fairly compact shopping street packed with around 70 shops. It is just a 5-minute walk from the Nippori Station, and offers an eclectic mix of wares. It’s a great place to get yourself some souvenirs and gifts for friends and family. A flight of stairs marks the gateway into the Ginza Shopping Street. This entrance is called Yuyake Dandan, which literally translates to “sunset stairs”. If you get there at the right time in the evening, you can view a magnificent sunset from this spot. 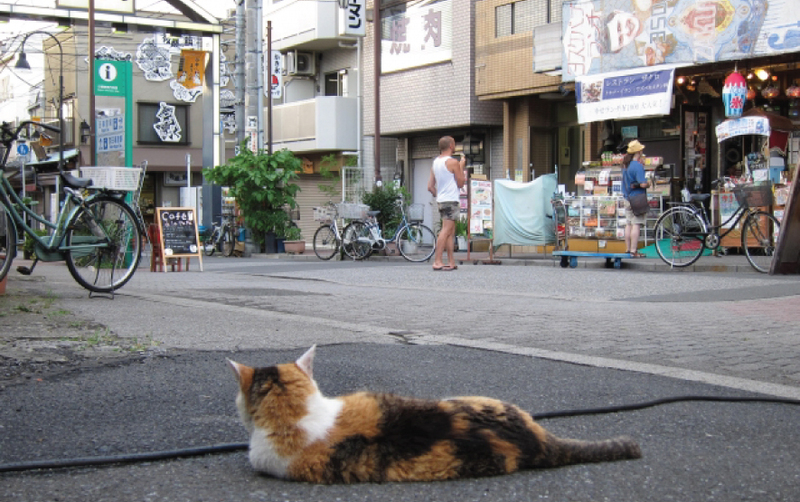 Yanaka is well known for its cats. In fact, there are so many cats on the streets that they have inspired cat-themed shops too. You’ll also find numerous cat goods in the stores. Don’t be surprised to find cattail doughnuts, and don’t forget to buy the good luck Maneki Neko cats! Many food outlets offer yakitori and croquettes to carry along as a snack while you shop. You can also stop for some delicious Soba noodles at a restaurant on the street. Yanesen is one of the few places in Tokyo which retains its old town ambience from decades past. It is an excellent opportunity to see the ‘other side’, of the glittering metropolis, slow your pace and indulge in its delightful atmosphere. If you are planning a trip to Yanesen in Tokyo, Japan, do not hesitate to contact your luxury travel designer Mr. Isao Numano.